1949 to Fermin Sanchez and Guadalupe Bara. She will always be remembered for her smart sense of humor and the love she had for her family. 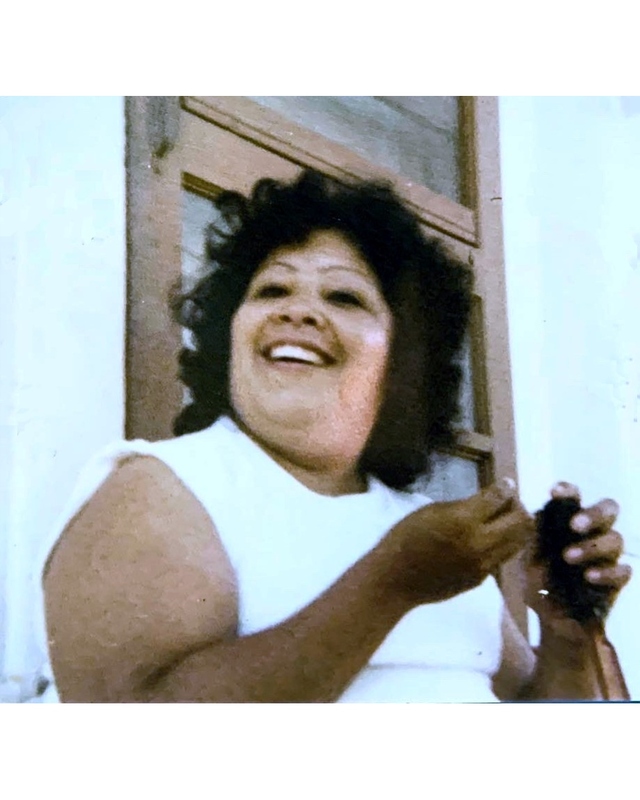 San Juanita was a loving sister, mom, aunt, and grandmother. San Juanita is preceded in death by her parents, Fermin and Guadalupe Sanchez, daughter, Beatrice “Pinky” Tapia, brother, Jesus Sanchez (Uncle Jessie),and Josefina Pena and great grandson, Mason Resendez. San Juanita is survived by her brothers, Alex Sanchez, Melario Gonzalez, Fermin Sanchez, Jr., and Tony Sanchez; her sisters, Yoland Barr and Margarita Sanchez; her children, Mary Jane Garcia (Joe), Mary Margaret “Margie” Tapia, Cynthia Marie Garcia (Pedro), Ralph Rodriguez, (Jessica), and Eric Adrian (Miranda); 20 grandchildren and 24 great grandchildren, numerous nieces and nephews. Visitation will be held from 4:30 p.m. to 9:00 p.m. on Friday, April 12, 2019 at the Seaside Reid Chapel, 4357 Ocean Dr., with a Rosary to be recited at 7:00 p.m. that same evening.